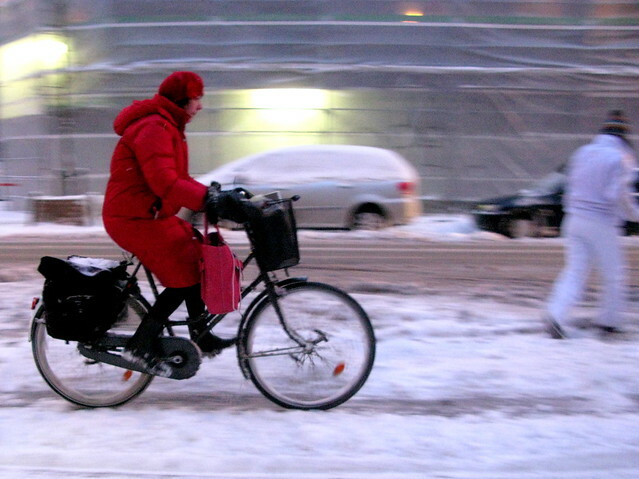 I just found these pictures of bikers in the snow here in Copenhagen. Nice ones right..?! 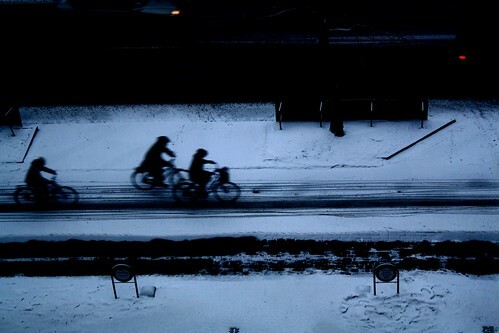 During the winter, there are fewer cyclists. But the fall is not that drastic. 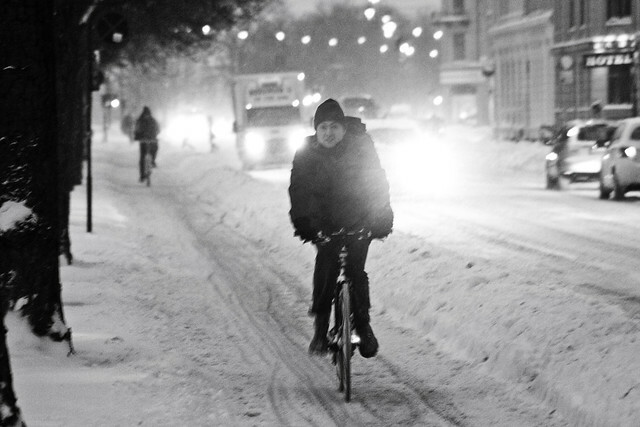 80% of Copenhagen’s cyclists continue to ride through the Copenhagen winter. Most of them continuing to be frightfully stylish. 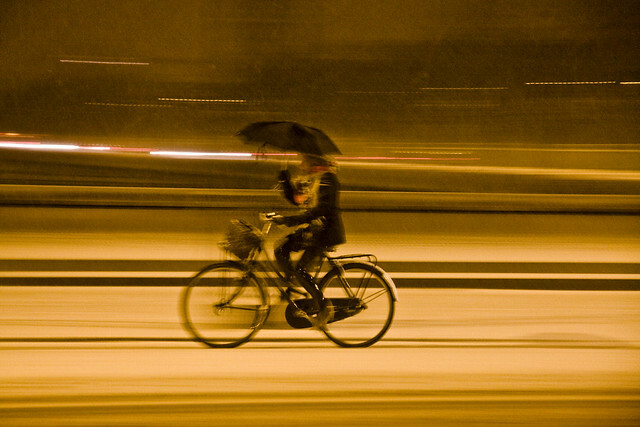 We’ll leave the whining about the weather up to others. My posts for this project will be tagged postaday2011, and I created a category as well. 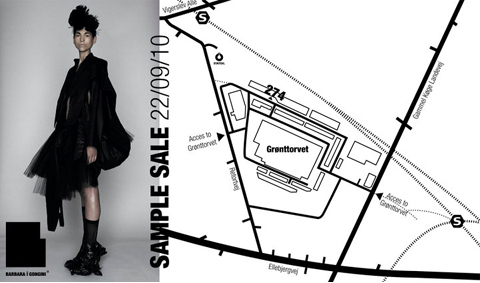 Todays topic is the above and these projects has been my favorite in 2010.
:: Working with Denmark’s Next Top Model. I loved creating both the colourful dresses for the girl’s shoot and the dress hostess Caroline Fleming wore in the final episode. This first picture is Caroline Bader who won the entire competition. She was so sweet to work with and such a worthy winner too! :: I had the great pleasure of selling my first collection in my own name in the Nag store here in Copenhagen. My final BA collection was sold under the name Le Beau Homme. :: Living in London three months this fall. It was a great experience both work wise, regarding inspiration and socially. It was good to get a little break from life in Copenhagen, to meet some new people and live in a new city. I learned a lot about London and where to go for what. I loved that everything was open all the time and I especially loved the atmosphere in the city. I used a lot of inspiration from east London in my BA collection, and I used the city’s wipe even more in the work I did while I was there. I look forward to finish the work projects I started there and I will share some of the results here in the months to follow. Here’s a couple of my fav personal pics. :: I’ve been so lucky to be a part of both the Stine Goya team and the Barbara i Gongini team for periods this summer. I got a lot of experience, learned so much, got some great new friends, had a lot of fun and worked loads too. :: I have been working on a lot of different projects this past year. Some of it has been shown here on the blog and some of it has not been finished yet. I will show more in the months to come. I also have plans for more exiting projects already and hope to share them as we get into 2011. What are your best accomplishments from 2010?? 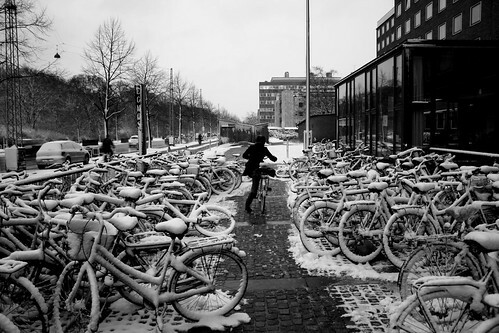 A snow-covered Denmark! I can’t belive how much snow there is everywhere. My drive home for christmas last week took almost 10 hours where the same trip normally takes about 3 hours.. I’m back in Copenhagen now after my christmas holiday at my parents’ house. Hope you all had a good one with lots of love, joy and happiness in the cold weather, here it’s minus 15 right now… brrrr!! I had the pleasure of working twice for the show Denmark’s next Top Model this spring. First I did a series of dresses for a photo shoot with the then 11 remaining models. Last night the final episode aired and 15-year-old Caroline Bader (to the left) won. I think she is amazing, but both girls in the finale deserved so much to win. I have designed the hostess Caroline Fleming’s dress and the gloves she is wearing. She is so sweet and was so nice to work with, always with a fun and loving attitude. A pic from my very messy apartment of the dress while sewing on hundreds of beads in all sizes. It took one long night and most of the next day too… I coated the fabric before sewing together the dress. The aim was a more rough-looking surface than just the plain cotton. I had a couple of fittings with Caroline in the process and her being a model herself made the fittings easy. During the filming. The jacket she is wearing is Chanel. The day before filming the last episode of Top Model, Caroline went to a wedding with her boyfriend Nicklas Bendtner where she is also wearing the dress.. The judges. Uffe Buchard, Caroline Fleming and Jacqueline Friis-Mikkelsen. I know I post a lot about this brand, it’s just that the clothes are so freakishly amazing! This spring I had the pleasure of working on Denmark’s next Top Model 2010. I designed and made 11 dresses for one of the program’s photo shoots. Tonight the program with my work aired so I can finally share some back stage pictures. Beautiful girls – 80 m. of fabric – many hours of work! 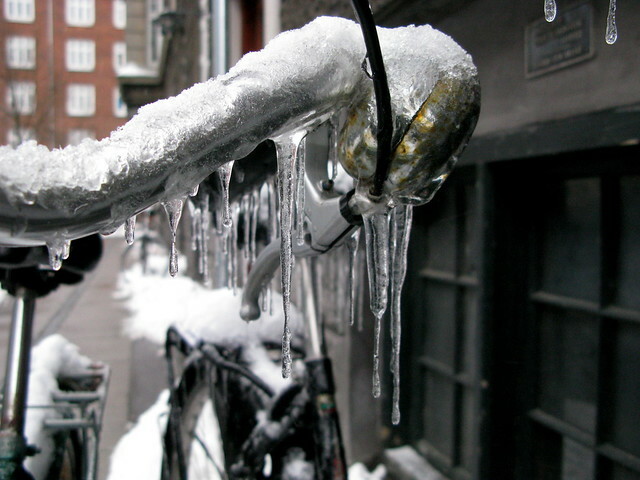 If in Denmark_go do this! WHAT? Sale of our stock items and samples.